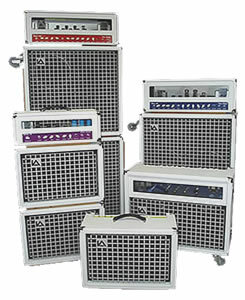 Standard Component List : Industrial Amps : Boutique Hand Wired Tube Electric Guitar and Bass Amplifiers. From Versatile Studio Guitar and Bass Amps to Severe Industrial Grade Amplification. Each amp is built one by one in Point to Point fashion. We have chosen components for the benefit of durability and of course tone.